We’ve all been in a situation where we suddenly find ourselves stuck behind an “oversize load” on the highway, creeping along under the speed limit. 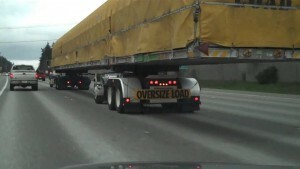 Obviously, the bigger or longer the load is, the more difficult it is to maneuver on the road. 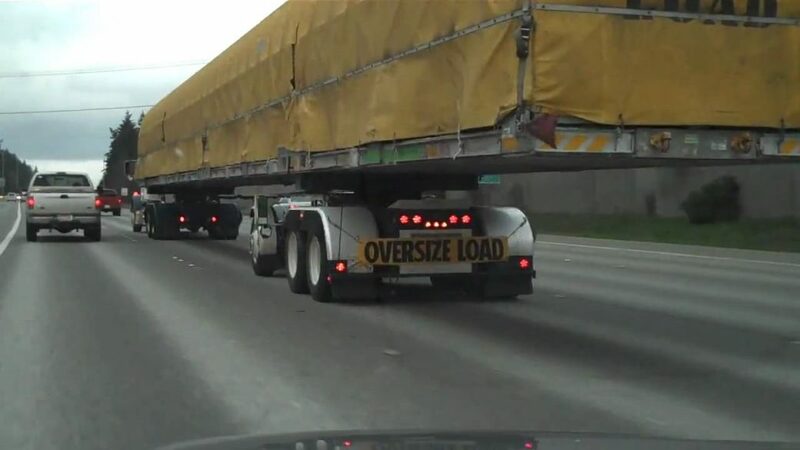 Recently, Boeing took the idea of an “oversize load” to a whole new level with a trailer that was so long it required another operator/driver on the back end to control the second half of the load. I mean how else is Boeing supposed to transport aircraft wing spars to the company’s assembly facility in Everett, Washington? If you look closely, you can pinpoint the second driver in his cab underneath the trailer, just in front of the rear wheels, making sure everything on the monster load stays in line during transport.